Sometimes eyes are bigger than stomachs, which means there might be a few slices of pizza left after ordering delivery or dining at a pizzeria. Although you could warm leftovers in the microwave for a late-night snack, there are several ways you could make a new delicious meal with the remaining food. If you’re wondering how to give pizza a second life, below are a few interesting creations to try. You can use two slices to create the ultimate grilled cheese sandwich. Fusing the slices together in a skillet or panini press will heat the toppings and make the cheese gooey again. Toasting each side will make the crust crispy as if just taken out of the oven. The crunch will complement the soft filling. If you want to create a hearty dinner for the entire family, use the leftovers in a lasagna. This works best for thin-crust pizza, as you can use the slices as a substitute for sheets of pasta. Just add the slices to alternating layers of ricotta, mozzarella, and parmesan cheese, as well as any other meats or vegetables you want to incorporate in the dish. 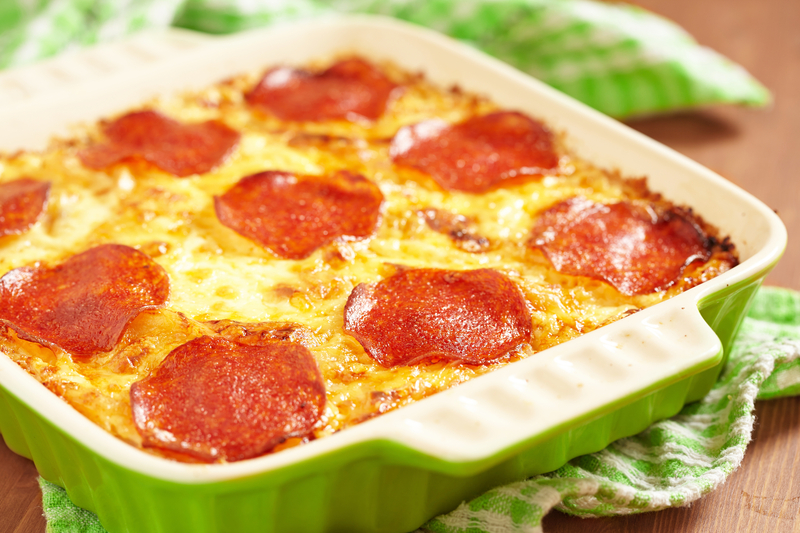 Bake in the oven until the top layer of cheese is bubbly and golden brown. Whether you ordered a meat-lovers pizza or a pie studded with vegetables, you can take the toppings and toss them into a bed of mixed greens for a flavorful salad. Cut up the crust into bite-size portions and bake in the oven until the bread is crisp enough to create croutons. You can also shred the cold cheese and sprinkle it on top. If reading about pizza has you craving the comfort food, visit Colombini's Pizza & Deli in Rochester, NY. For over 35 years, the restaurant has been the go-to spot for area residents to enjoy pizza with unique topping pairings, chicken wings, specialty subs, and more flavorful fare. Visit the eatery online to browse the complete menu or call (585) 889-2213 for pizza delivery. Check out the establishment’s Facebook page to see pictures of the cuisine and rave reviews from fans.